Someone once wrote that criticizing economist and New York Times columnist Paul Krugman is the internet’s favorite pastime. I, too, have engaged in the sport – with no success of changing what Robert Higgs calls the “vulgar Keynesianism” that dirties the Grey Lady’s editorial page. To the betterment of my pride, nobody else has had much luck in the arena of ideas either. Krugman continues to carry the torch of excuses for the Democratic Party while lampooning the bigoted, racist, old, white, and rich GOP.All along, the Princeton prof has stayed true to the cause of aggressive government action to forestall the downtrodden economy. 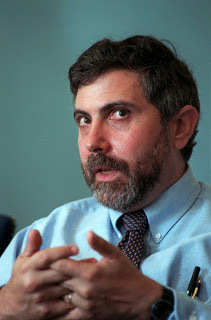 Large fiscal expenditures, aggressive monetary stimulus, increased legal privileges for organized labor, and boosting the degree of state pillaging – Krugman is the caricature of a tyrannical apologizer who will defend the cause of rampant statism at any cost. He has been accused of being a communist, socialist, a Democratic shill, and every other leftist insult that might exist. Much of this is done in a tongue-and-cheek style. Still, the underlying charge of Krugman being a vehement statist willing to justify any and all government action remains accurate. Basically, there is little activity Uncle Sam could do that he wouldn’t approve of. But now, it appears Krugman has gone overboard with his progressive moaning. In a recent column, he laments, once again, over the fact that some people make more money than others. The wealth inequality canard – which is favored by every leftist under the sun – has become a tiresome ploy at this point. 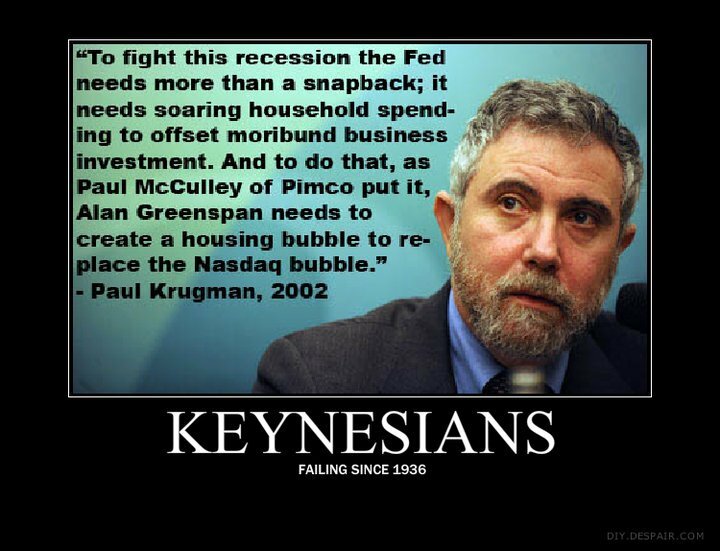 I think Krugman knows this, so he proceeds to justify his indignation by bringing some new evidence into the mix. Now things start getting interesting. Calling his latest screed “Profits and Production,” Krugman tells us how the 21st century economy has changed in “fundamental ways.” The factors causing the market malaise we are currently witnessing should, as the Keynes disciple suggests, force us into placing less emphasis on the historical episodes and change our thinking all together. In sum, Krugman is suggesting that this time is indeed different, and that public policy responses to such instances as the Great Depression and Japan’s infamous Lost Decade are not very useful. It’s a good rule of thumb that when a commentator makes mention of something being “new,” and thus radically changing existing principles, a heavier dose of skepticism is in order. At first, Krugman’s reasoning is similar to the quote by John Maynard Keynes “when the facts change, I change my mind.” And at some level, that mode of thinking makes sense when attempting to deduct the causal reasons behind any predicament. But Krugman does not appear to be using it in that manner. For the Nobel Laureate, the abundance of monopoly rents – “profits that don’t represent returns on investment” – is driving a destructive wedge between “profits and production.” Then comes the kicker: workers are no longer benefitting from the kind of consumer goods which are selling in the modern economy. Using the example of devilishly capitalist Apple, Krugman makes the point that despite not employing a large workforce like General Motors in the mid-twentieth century, the gadget giant is making money hand-over-fist. Why is this a bad thing? Because Apple sits on a large pile of cash while refusing to invest in its productive capacity. Thus, the cash flow stays intact without being recycled back into the economy. The increased existence of companies like Apple is acting as an albatross on the economic recovery as it leads to less income in the hands of working households. There are a myriad of fallacies in this reasoning that could be brought to light and demolished if given ample thought and effort. For instance, the idea of monopoly rents that allow producers to earn a profit without having to exert much effort is complete balderdash. For that condition to maintain itself on a free market requires government intervention, e.g. intellectual property patents or state contracts. Otherwise, the capital components which produce goods and services must pay for themselves or else the owner runs the risk of bankruptcy. Just because Apple, in Krugman’s words, “seems barely tethered to the material world” does not mean the labor and capital it employs possess some kind of infinite, cash-garnering power. For Krugman to label this business model a “monopoly” implies that every business is in fact a monopoly, given that one person cannot physically work in two places at once. I would rather not get bogged down in the economic imbecility that frequents Krugman’s twice-weekly diatribes. There is a fallacy more fundamental in this latest theorizing. What Krugman is embracing in his latest attack on historical cases has much more to do with the man’s epistemological bent and approach toward economics. By claiming the prevalence of labor-less capitalists changes how everyone should think about economics is so far removed from sound judgement, it is pure Marxism. And no; that is not a descriptional error. This is the lens through which Marx saw the world, and the transitory process for which capitalism gives way to earthly communism. The capitalists would eventually expropriate the gains of the workers to a point where the entire system would come crashing down. To Marx and his theory of historical materialism, the driving force of change was advancement in productive capacity. The extending of the global division of labor would establish social classes between the populace – namely workers versus the capitalists. Consciousness in the way which man saw himself was explained, in Marx’s words, “from the contradictions of material life.” So if the workers caught on to the terribleness of the lot they were given in the marketplace, a rising up would occur to fulfill history’s course. It sounds eerily similar to the notion that the swelling of monopoly rent status in the 21st century has flipped all previous knowledge on its head, and demands a full review of the dilemma at hand. I am unable to say if Krugman actually believes that a utopian communism will eventually engulf the planet. But the basis on which he makes his latest argument finds its root in the philosophy of Karl Marx. Decrying the success of Apple and its supposed war on middle class workers is demonstrative of the Princeton professor’s logic. He sees exploitation, in the form of an efficient business model, giving way to a need for government interference. The praxeological established rules of economics are of no consideration. That universal truth is now fiction. The best refutation to the theory of historical materialism is the fact that capitalist gains have not enslaved the masses but actually set them free from the moribund scarcity that defined much of mankind’s early existence. We will never reach a state of superabundance as predicted by Marx’s followers. But the infinite ignorance which comes from the depths of Paul Krugman’s mind might actually think so – if you actually believe the state can provide something for nothing. The Secret Sauce Of Iceland’s Success Story: Debt Liquidation?